Once upon a time, we had to wait until TV shows actually premiered to see the pilot episode. But in this grand day and age of the internet, networks have occasionally offered an early look at their upcoming new series ahead of the official premiere. Such is the case for three of ABC's new shows. Unfortunately, none of them are Marvel's Agents of S.H.I.E.L.D.. In fact, they're all comedies. Available for viewing online are The Goldbergs, Back in the Game and Trophy Wife. CLICK THE IMAGES below to view the pilots! Created by Sarah Haskins and Emily Halpern, Trophy Wife stars Malin Akerman as Kate, a reformed party girl who's now the third wife of Bradley Whitford's character Pete. So he's a little bit older, and he has a bunch of kids and a couple of ex-wives in the mix, all of which will probably make Kate's once simple life a bit more complicated. But Kate's determined to make herself a part of this family, no matter what. Malin Akerman and Bradley Cooper's names alone are enough reason to hope this comedy lives up to its potential. 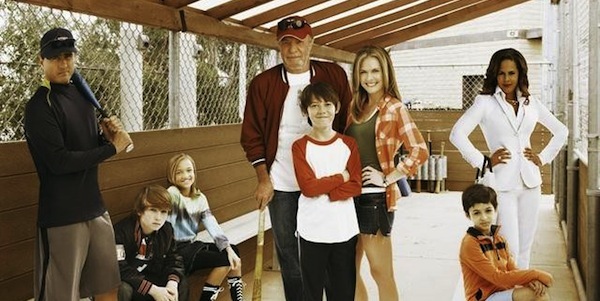 Back in the Game comes from Mark and Robb Cullen and stars Maggie Lawson as a Terry Jr.divorced mom who takes her son Danny and moves back in with her estranged father Terry Sr. (James Caan), who's described as an "opinionated, beer-guzzling, ex-athlete" who was about as unsuccessful as a father as he was as a pro baseball player. So there may be some tension in this mix as Terry Jr. attempts to get along with Terry Sr, while also trying to be a good parent to her son. And there's also baseball. Before cell phones and iPods, there were rotary dial corded telephones and clunky boom boxes that required half a dozen giant batteries to power your tunes. There were also a lot of family sitcoms, and if you hadn't noticed already, those have made a pretty significant comeback in recent years! 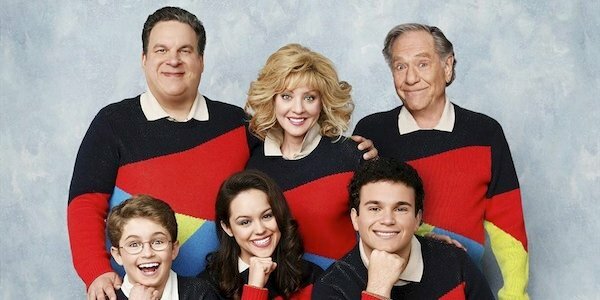 The Goldbergs comes from Adam F. Goldberg and stars Wendi-McLendon-Covey, Sean Glambrone, Jeff Garlin and Patton Oswalt (or his voice, anyway) and centers on your typical dysfunctional American family in the 80s. So there's a period element here that should appeal to those of us who grew up in the 80s, and then there's the family element, which should allow The Goldbergs to fit in well on ABC. The Goldbergs premieres Tuesday, September 24 at 9:00 p.m. ET on ABC. View the full Fall TV premiere schedule here.